Rene Bourque is heading overseas to continue his playing career. The 35-year-old winger signed with Djurgården of the Swedish Hockey League on Tuesday after 13 NHL seasons. A veteran of 725 career games, Bourque spent time with the Chicago Blackhawks, Calgary Flames, Montreal Canadiens, Anaheim Ducks, Columbus Blue Jackets and Colorado Avalanche. 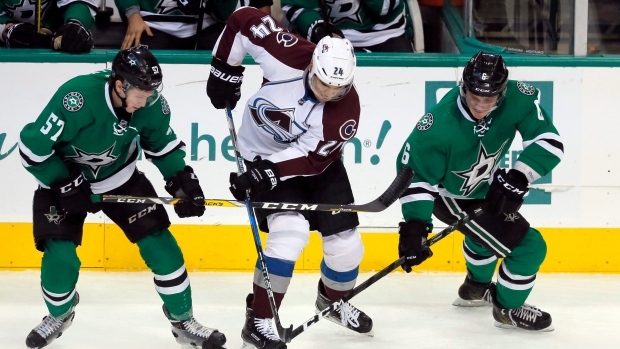 He scored 12 goals and added six assists with the league-worst Avalanche last season. Bourque posted a career-high 27 goals in back-to-back seasons with the Flames from 2009-2011 but failed to top 20 goals again in his career. Undrafted in the NHL, he leaves the league with 163 goals and 316 career points. Djurgården said Bourque will join the team at the end of the week.